Since announcing the first sets of guests, Latino Comics Expo is pushing full speed ahead with more talented artists and creators announced. 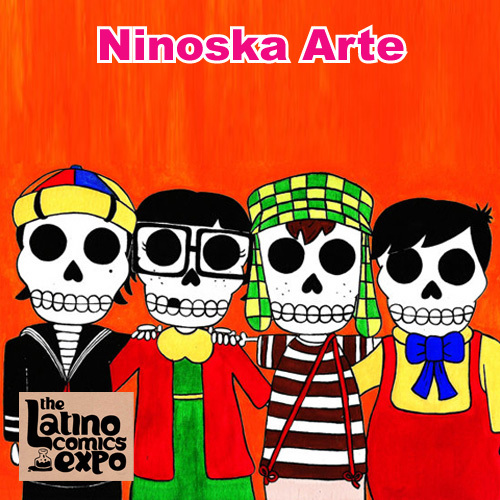 Vicko Alvarez, Philip Victor, Joon Alvarado, and Ninoska Arte will be attending the 5th anniversary Expo taking place in Long Beach, California. Each delivers something unique from a fresh perspective that exemplifies the best Latino culture has to offer. See below for more details about their comics and art. Vicko Alvarez is an educator and cartoonist. Her comic Scholar (it puts the 'chola' in 'Scholar'!) chronicles the adventures of a young girl living, and learning life lessons, in a working class Chicano neighborhood. 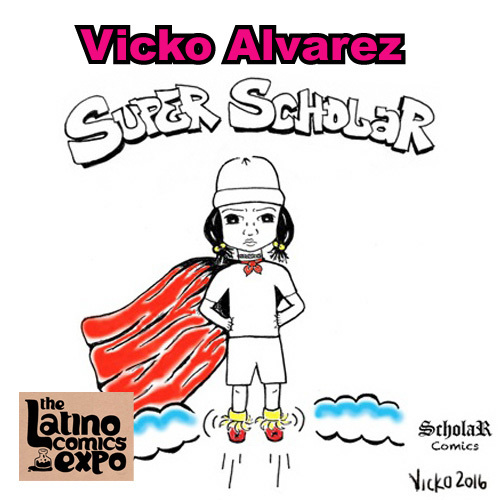 Vicko is joining us for her first Latino Comics Expo. Philip Victor is a writer, publisher and founder of Aerosol Press. 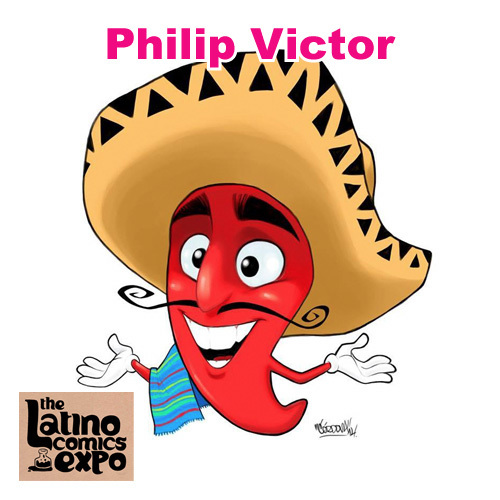 His new comic is titled 'The Secret Life of Mexican Food' and will be debuting at the Latino Comics Expo. The artwork is by Rene Cordova of Guadalajara, MX. 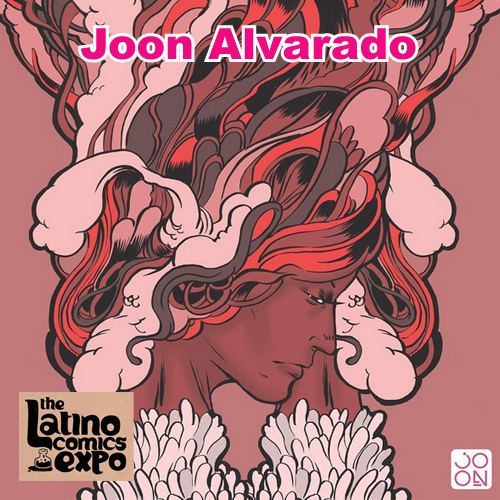 Joon Alvarado is a designer and illustrator. His work has appeared in animation, webdesign, gallery shows and anywhere he can apply his creativity to. This is his first appearance at the Latino Comics Expo. 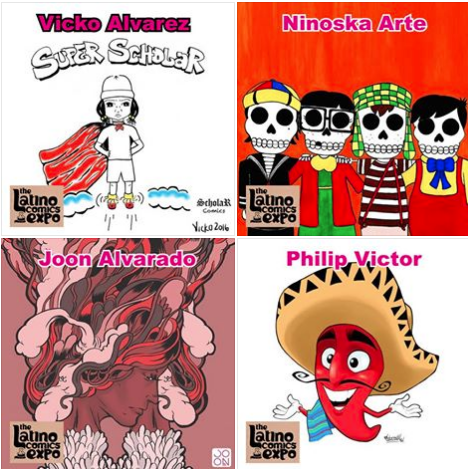 Ninoska Arte is the art brand and studio of Jacqueline Ortiz and Hannibal Garcia. Their Dia de Los Muertos inspired art is handcrafted and comes in all shapes and sizes. In addition to creating, they also organize many art events in the Los Angeles area.